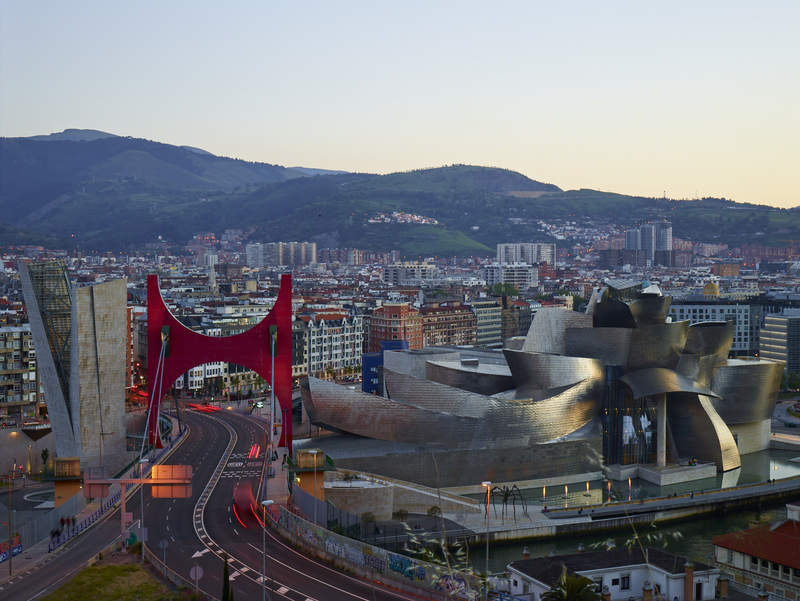 Receiving a million visits per year, the Guggenheim Bilbao Museum is a symbol of Bilbao’s transformation and its evolution into one of the avant-garde cities of the 21st century. The museum will present special programme of events for its 20th anniversary celebration this year. Designed by the American architect, Frank O Gehry, the Guggenheim Bilbao Museum celebrates its 20th anniversary this year with a powerful and artistic programming. A spectacular building and the importance of the works that it houses puts the city on the museum map of the world. To celebrate the anniversary of this magnificent building, which will be held on October 19, 2017, the exhibition space in Bilbao will develop numerous activities over the course of 12 months under the motto ‘El arte lo cambia todo’ (Art Changes Everything) as through this iconic monument, Bilbao accomplished an intensive change which appointed it as an international cultural destination. The aim of the programme is to strengthen the position of Bilbao museum in the European and international art scene, strengthen ties with the Basque artistic and cultural environment and consolidate its position as the economic engine of Bilbao and its surroundings. The commemoration of the anniversary will be presented in all activities of the museum from October 2016 to October 2017, and the concept of communication chosen is ‘Art changes everything’, a motto inspired by both the great change experienced by the city of Bilbao and its inhabitants since the opening of the museum as for the transforming capacity of art. In addition, the museum has designed a special application of its logo and will build a micro site which will be accessible from the museum’s website that will serve as a communication platform during the anniversary celebration and will be deployed in the next months. The 20th Anniversary of the Museum will also receive, from the Provincial Treasury of Bizkaia, the recognition of a series of tax incentives for companies and entities that carry out the expenses and investments associated with the event and dissemination. The ‘Artistic Field’, an ambitious conservation project of the ‘Own Collection’ will also be launched along with a special exhibition programme. An intense and diverse catalogue that aims to attract a wide range of visitors interested in different concepts from the Parisians avant-garde to the American Abstract Expressionism with key representatives of contemporary art as Bill Viola, France Beacon, David Hockney or Fiona Tan. This commemoration will also help in collaborating with the cultural agents and the local artistic community, which includes a call that will allow young Basque artists to show their works in the museum and a collaborative project, called TopARTE, which will allow local cultural associations to exhibit their art at some of the museum facilities free of charge. Both proposals aim to strengthen the bond with the local community and broadcast the contemporary Basque artistic proposal to its visitors. It will also include a series of celebration events with and for citizens, which will be unveiled over the coming months.